The Rocket Crisis is upon us! 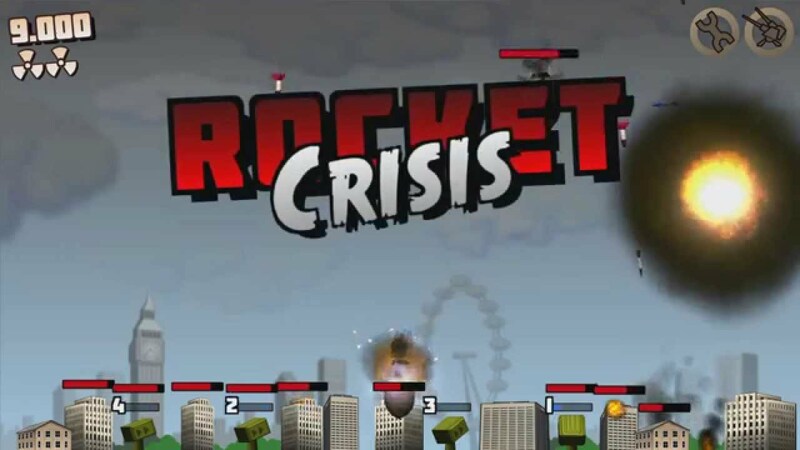 You are the Missile Commander, defending the cities of the world against massive rocket attacks! Immerse yourself in old-school arcade shooter gameplay! Blast attackers out of the sky, keep track of your own missile supply, and upgrade your defense systems. CAMPAIGN - Experience 38 levels of increasing enemies: Mega Warheads, City Destroyers, Laser Blimps, Hunter Rockets and more... plus multiple Boss Fights! CHALLENGE - Survive as long as possible against unending waves of enemies, as you defend your city from certain destruction! Simply tap to shoot your missiles, and catch as many enemies in the explosive radius as possible! Earn nukes and use them to clear the airspace against overwhelming odds! Activate your flak cannons to cover the sky in fire! Deploy barrage balloons to take the brunt of the attack! Order emergency repairs of your buildings to save them at crucial moments! Use your spoils of war to upgrade all parts of your war machine!